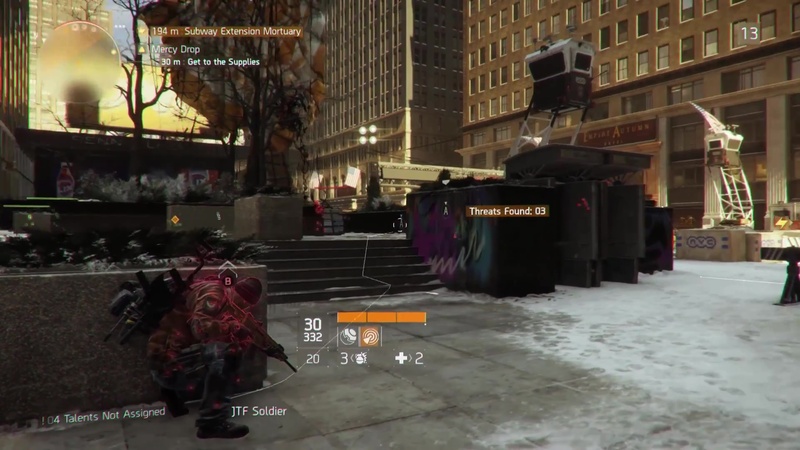 Skills are offensive and defensive abilities/gadgets that define the player’s role the most in The Division. Cooldown periods ensure, that you have to wait a certain amount of time, before you can use them again. Because of non-existent/predefined classes, you have full control in which direction your character should go. Whether it’s a tank heavy, or damage oriented build, you basically create your own class that fits your playstyle best. By unlocking Skills, you permanently have access to them, while you can equip 3 Skills (2 normal, 1 Signature) at the same time. 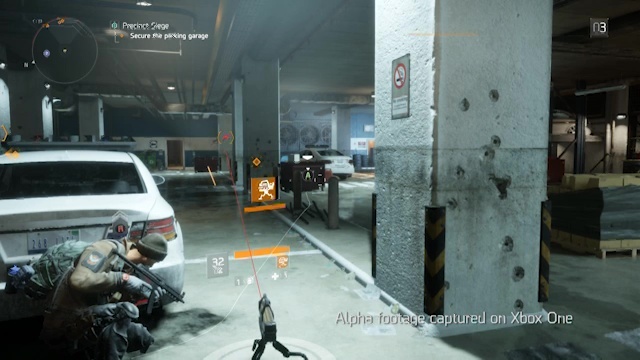 Not all Skills can be unlocked by just reaching a higher level, but rather by completing missions. You can change them whenever or wherever you want, even during combat. Further distinctions between skills are obtained through Skill modifications, which can be assigned to the Skill they belong to. That’s how for example you can turn your turret into a flame thrower. Before you can use them, they need to be unlocked. 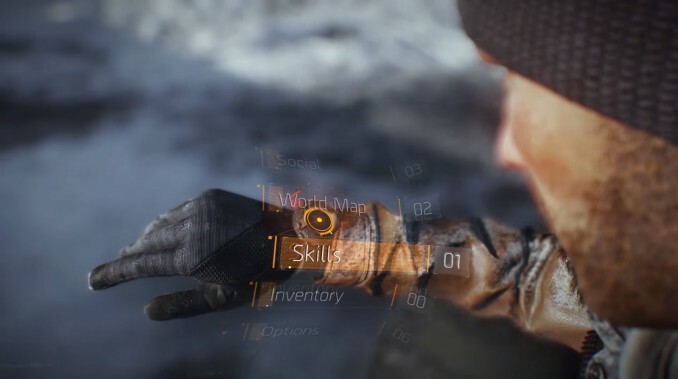 In contrast to the skills themselves, Skill modifications will be unlocked through your mission progress. An additional “Master” bonus completes the Skill/modification set. It grants you an overall bonus to the existing skill attributes like Range, Duration, Critical Chance and Crit. Damage. 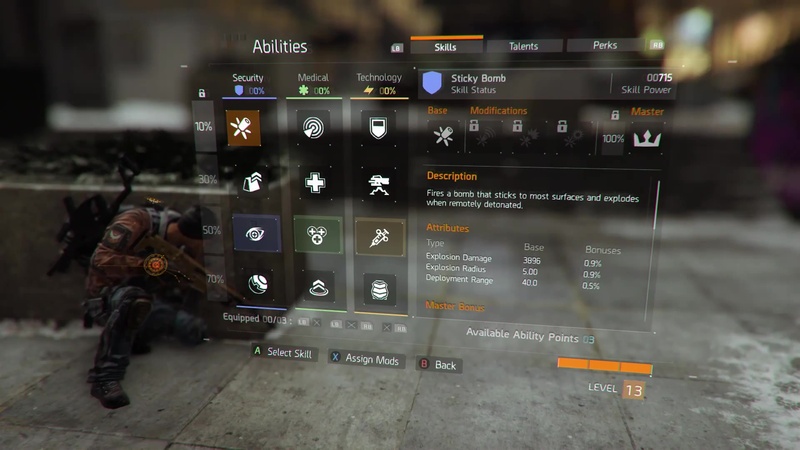 Selected skills aren’t only small fancy icons in the skill menu and visible when you activate them, but are also part of your character’s appearance which generates a unique look when you are not using and only carrying them. The choice is yours – a skill based on looks, or on functionality? There are 12 Skills, each with 3 modifications and the aforementioned “Master” bonus. Try out our Skill Calculator to find out more about them in detail.